Serving the Arcadia area for over 57 years! Our groomers are trained and experienced to provide unmatched grooming results. We Enjoy Our Exotic Pets! We offer comprehensive care for our special companions! We want to partner with you to ensure a lifetime of good oral pet health! Visit our practice for all of your preventative needs. We Offer Junior and Senior Blood Work! Physical changes occur during the aging process. Don't leave it up to chance. Have your pet microchipped today for peace of mind. 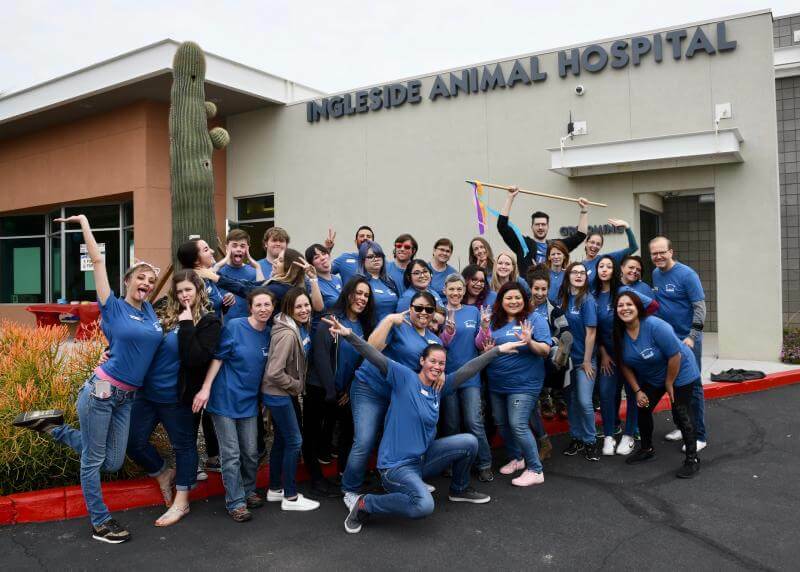 Located in the Arcadia area of Phoenix and serving the communities of Scottsdale, Tempe, Paradise Valley, and the entire Phoenix metro area, Ingleside Animal Hospital treats nearly every animal family member—dogs, cats, pocket pets, rabbits, ferrets, turtles, reptiles, and birds. In addition to a traditional array of veterinary services, we also offer several alternative therapies, including therapeutic laser therapy. Please browse our website to learn more. We look forward to meeting you and your pet! Mon. - Fri. 7 a.m. to 7 p.m. Sat & Sun 8 a.m. to 3 p.m.